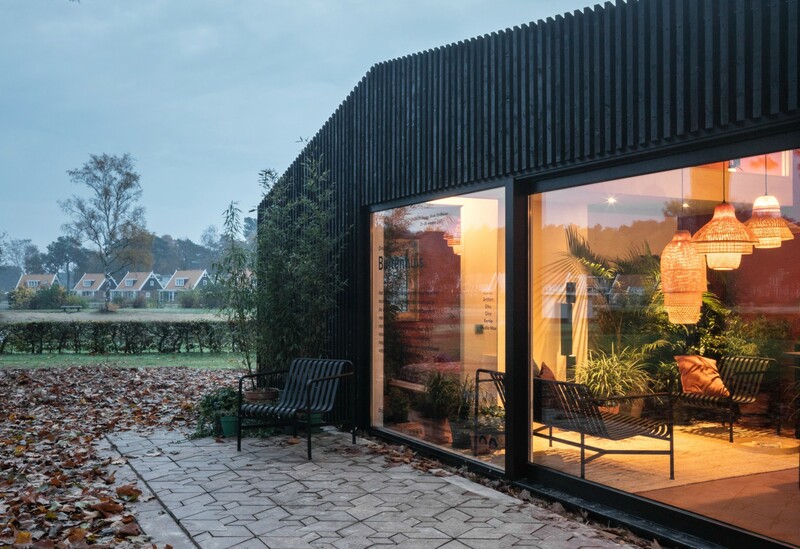 Chris Collaris Architects and the designers from Dutch Invertuals just unveiled a series of beautiful tiny house rentals designed to bring people closer to nature. 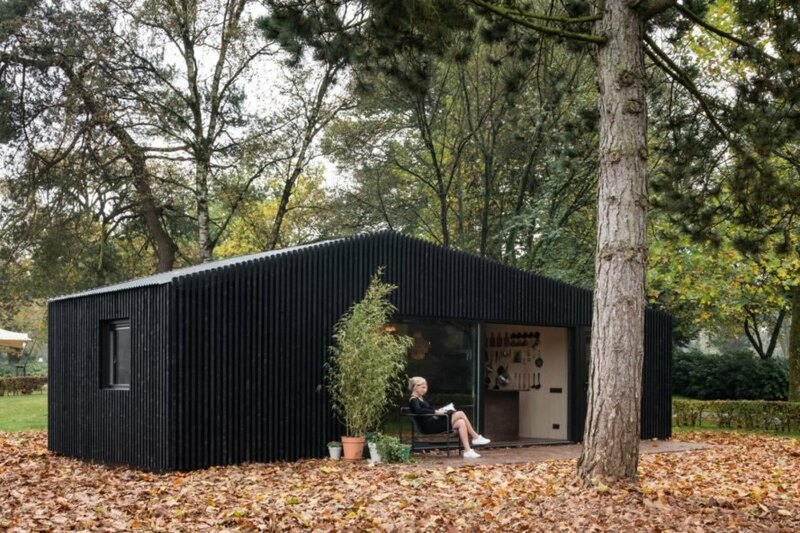 Slated for construction in Droomparken—a series of holiday parks located across the Netherlands—the minimalist Buitenhuis cabins let guests enjoy a peaceful living space surrounded by scenic parkland. While these tiny cabins are just over 400 square feet, their strategic design makes that space feel much larger. A floor-to-ceiling glass door serves as the entrance and opens up to an almost entirely glazed wall, which creates a bright, airy interior and it provides stunning views of the surroundings. Each home is two stories, with the living space on the ground floor and a sleeping loft on the second. The Buitenhuis cabins will be placed in Droomparken locations all across the Netherlands, but every tiny home will have a customized interior designed by Dutch Invertuals artists and based on the wishes and needs of the guests. The Buitenhuis design was unveiled at Dutch Design Week last year, and construction on the various Buitenhuis locations has already begun. Guests can choose from a variety of lodging options at the parks, such as campsites, luxury chalets, and bungalows—and now they can also enjoy the view from the comfort of a brilliant tiny home. 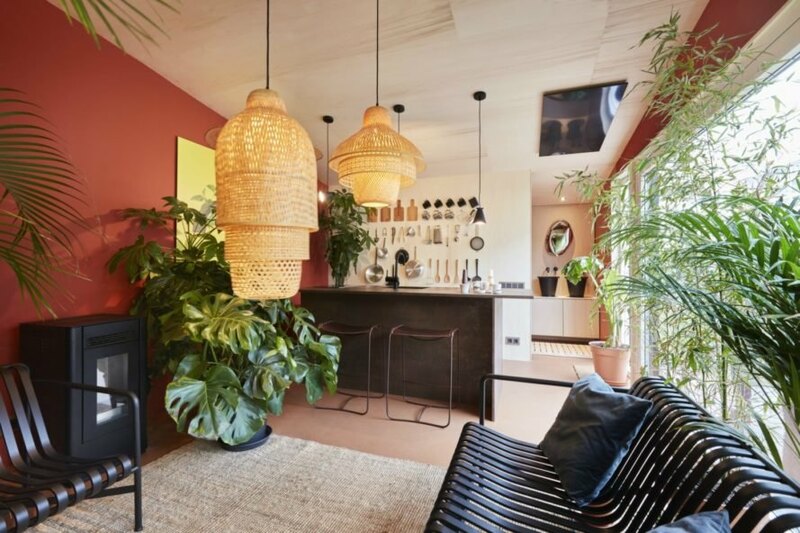 A collaboration between Chris Collaris Architects and the designers from Dutch Invertuals is bringing people closer to nature through a series of beautiful tiny home rentals. 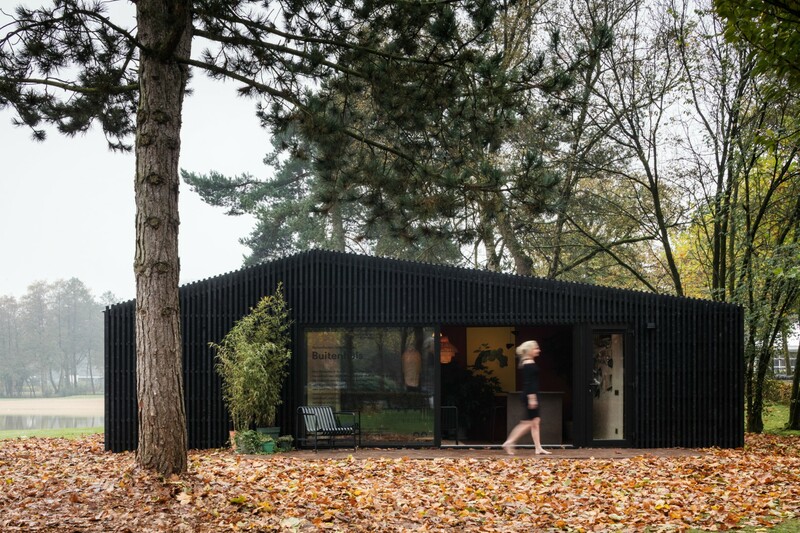 Designed for Droomparken—a series of holiday parks located across the Netherlands—the minimalist Buitenhuis cabins let guests enjoy a peaceful living space surrounded by scenic parkland. The Buitenhuis design was unveiled at Dutch Design Week last year, and construction on the various Buitenhuis locations has already begun. While these tiny cabins are just over 400 square feet, their strategic design makes that space feel much larger. Guests can choose from a variety of lodging options at the parks, such as campsites, luxury chalets, and bungalows—and now they can also enjoy the view from the comfort of a brilliant tiny home. The Buitenhuis tiny homes will be installed in parks around the Netherlands. 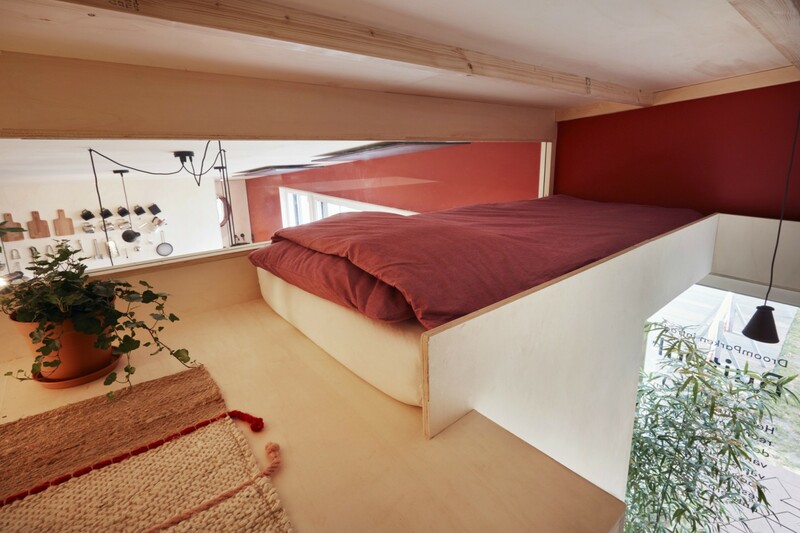 The upper level of the Buitenhuis tiny home can be used as a working space. The cabins are located in parks throughout The Netherlands. 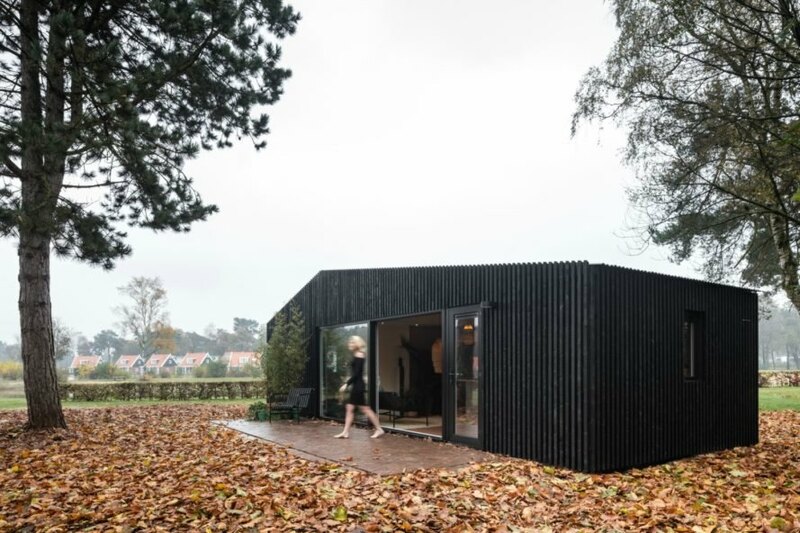 The black cladding lets the tiny homes blend in with their natural surroundings. A glass facade lets in optimal natural light. The sleeping loft in the tiny home. 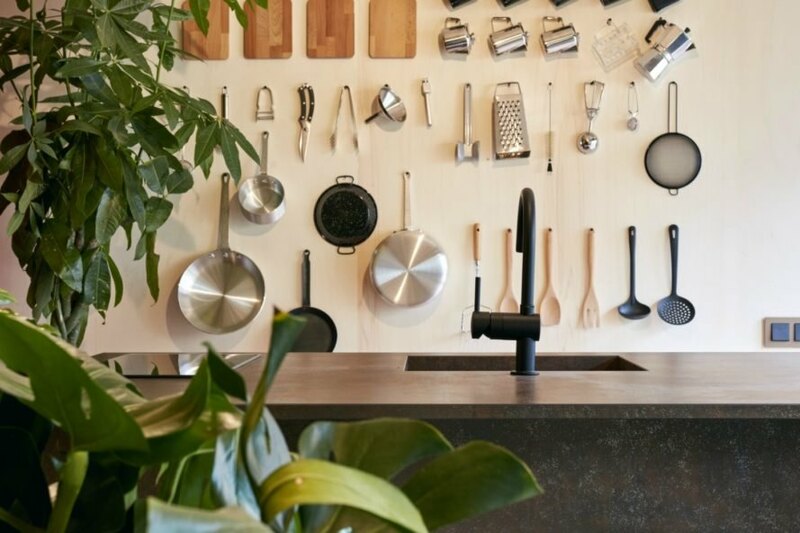 The home comes equipped with all of the basics. Every tiny home will have a customized interior designed by Dutch Invertuals artists and based on the wishes and needs of the guests. The tiny home design is sophisticated and modern. 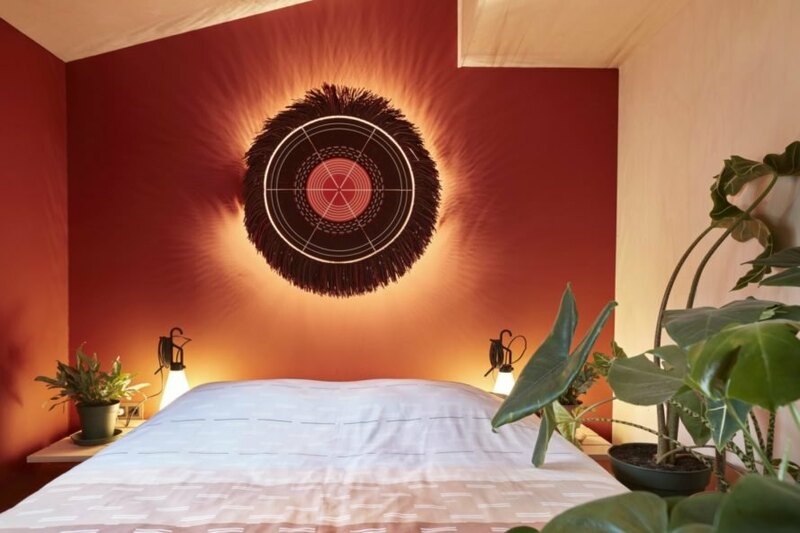 The team at Dutch Invertuals designed the Buitenhuis to bring guests closer to the nature.